Whenever a person moves and wants their dental records transferred, typically only copies* of the most current x-rays are sent. The written record usually is not copied / transferred for a very practical reason, we deal with the conditions you have at present. What this means is that unless when I see you there is some reason for previous records you don’t need to request any transfer of records/x-rays. Some offices charge for copies of the x-rays; however, I find it is never appropriate to diagnose from a copy (can you imagine trying to diagnose a mammogram from a copy). In this case I’ll be glad to take our usual low dose digital x-rays, and at no charge if the interval since your previous ones is too soon to be covered by insurance. 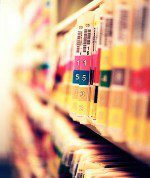 * Only copies are transferred, unless an office has digital x-rays and can transmit them, because we are required by law to retain the originals in your record even if you are no longer an active patient.